TA022-9003. Tournament Chess & Checkers Table Set. 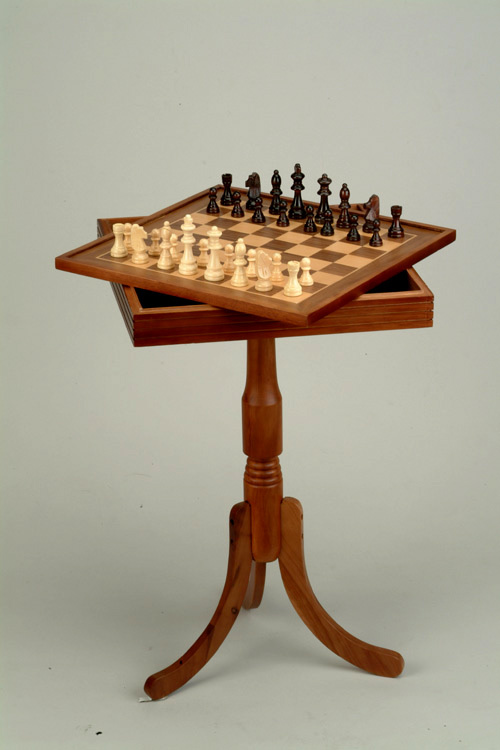 This handsome classical pedestal chess and checkers table set comes with beautiful solid wood weighted Staunton chessmen and wooden checker pieces. It features a slide off top which reveals an interior storage compartment for all your game accessories. This set elegant appearance and reasonable price have made it one of our best sellers. The table is 29 inches tall, and the board measures 18 x 18 inches. The King is 3 3/4 inches tall. An exceptional set for a great value!